Powell Barrister Professional Corporation is committed to providing professional and efficient service, we are dedicated to practicing civil and professional negligence law and to serving the best interests of our clients. We have set high standards for ourselves. Our firm has five lawyers, a law clerk and a legal assistant, all mentored by Allan Powell, who has practiced exclusively in civil litigation since 1987 and who founded the firm. Due to our firm's unique composition, files are delegated to highly qualified associates. 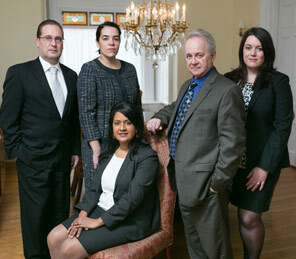 Our lawyers and staff all share knowledge, experience and expertise with one another. Qualified and efficient support is readily available to legal counsel at all times.